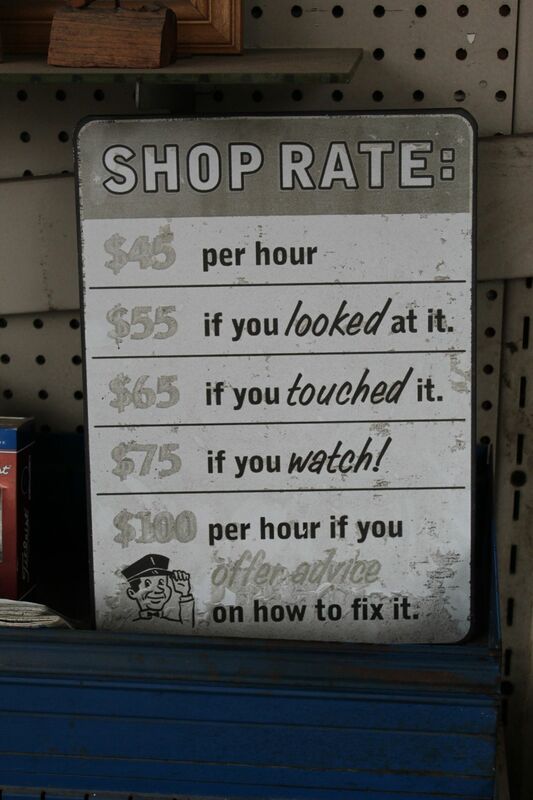 This is a vintage sign still on display in the waiting room of Shipley's full service auto station. Operating in this location for 75 years, thousands of customers have been notified of the "rules" and comforted by the continuity. The station has passed from father to son, and son Tooter, has retained the same quality of service..... The joy and delight of vintage signage continues in this location.